2016 is only a moment away, and it is high time that you consider your New Year’s resolutions. You could simply go with the same, run of the mill hopes that everyone else repeats year after year, such as a weight loss goal, career advancement or the purchase of a new car. Though these are no small accomplishments and certainly worth acknowledgement after achieving, you could incorporate some special goals into the works this upcoming year. 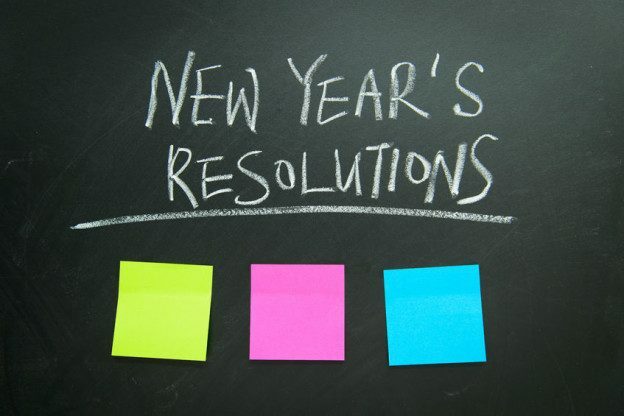 Having New Year’s resolutions for Niagara homes is a great way to hold yourself accountable until you get your property renovation and improvement jobs completed. Making these adjustments can help your home to sell more quickly and for a higher price when you place it on the market, or will make your space a place that you personally enjoy. Here are some New Year’s resolutions for Niagara Homes. There are two homes that help a house to sell fast—the bathroom and the kitchen. This is because these are the spaces where people go to relax and to work. Shoppers are attracted to kitchens that are functional and well designed, featuring modern appliances and upgraded attractions. If your kitchen is outdated, this is the perfect year to complete a renovation and reap the benefits of that investment. As previously mentioned, the bathrooms are some of those spaces that can either attract or deter shoppers. Surely, you have seen the television shows; the couple loves the house, it is exactly what they are looking for… until they open the bathroom door to find terrible wallpaper and an old, stained bathtub. Give your home a facelift by replacing your existing bathroom with an updated version that is both functional and beautiful. Flooring is not meant to last forever, and if yours has seen many years of wear and tear, it might be time to replace them. There are a multitude of attractive flooring options being put into homes today. You cannot go wrong with hardwood and, if you already have hardwood flooring throughout your home, yours might simply need to be refinished. Carpet is still a popular option for shoppers, especially in leisure rooms. If you have a color of tile that is outdated, contact a local professional for a quote to retile the floor—this is an investment that is worth making in 2016. Like flooring, the first coat of paint that was put on your walls when the rooms were completed was not meant to last the entire time that the home stands. Walls should be repainted more often than most think and, if it has been a while since your last coat of fresh paint, it might be time to choose some new colors. Neutrals are currently in, especially greys and pastels. Once you have prepared your property for the market, contact a representative with Niagara Homes and see how we can provide you with a great selling experience in the year 2016. This entry was posted in Blog, Uncategorized on January 18, 2016 by Kevin Stokes.